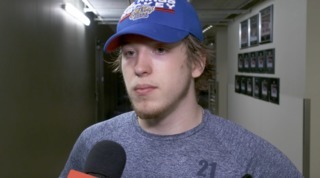 Andrew Fyten had a goal and two assists and Dylan Myskiw made 34 saves for his 20th win of the season as the Edmonton Oil Kings (30-16-4-4) earned their 30th win, 5-2, over the Regina Pats (15-37-1-2) in front of 6,158 fans at Rogers Place on Sunday afternoon. It was the second of back-to-back wins for Myskiw (20-10-2-3), who has turned aside 72 shots in his last two games. 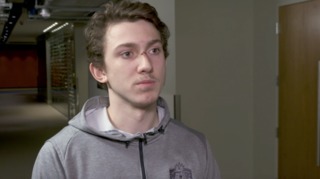 Max Paddock (10-22-1-1) made 40 saves in a losing effort, surrendering four goals on 44 shots. 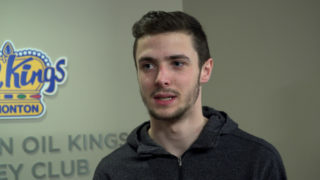 Trey Fix-Wolansky, David Kope and Scott Atkinson each had a goal and an assist during the game for the Oil Kings, while Carter Souch was the other goal scorer for the Club in the win. During the first period of play it was the Pats who took a 1-0 lead, as Austin Pratt scored his 20th of the season at 17:32 for the lone goal of the period. Shots on goal in the opening frame were 17-11 in favour of Regina. 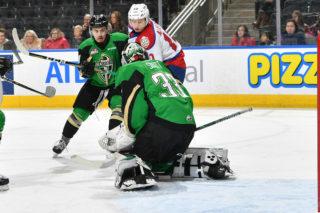 In the second period, however, it was all Oil Kings beginning with a goal just 50 seconds in by Souch, his ninth of the season, from Liam Keeler and Josh Willams. Edmonton took a 2-1 lead on Atkinson’s eighth of the season, from Vladimir Alistrov and Quinn Benjafield, just over a minute later at 1:52. Less than five minutes after Atkinson’s tally Kope notched his 10th of the season to make it a 3-1 lead, from Fix-Wolansky and Fyten, at 6:25. Shots on goal in the second period were 18-10, Edmonton. In the third, Fyten’s 13th of the season put the Oil Kings up 4-1, assisted by McLeod and Kope at 4:23. 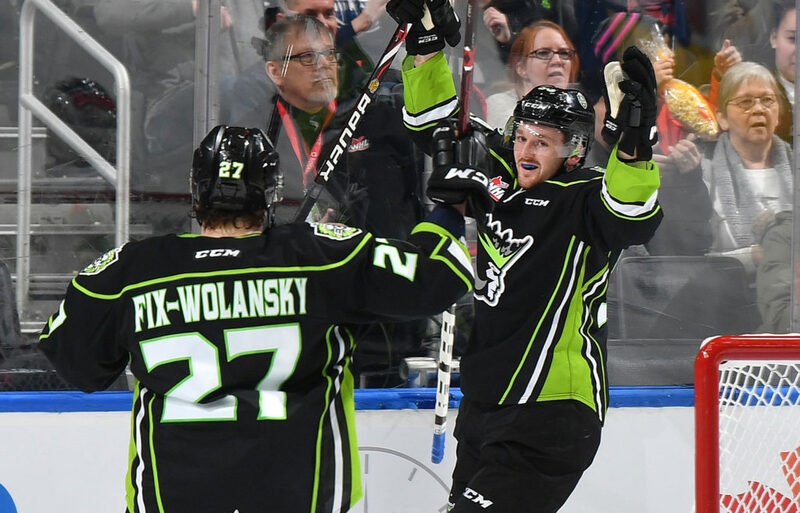 Regina chipped away at the Edmonton lead, making it 4-2 at 9:13 via a power play goal, but the Oil Kings sealed their win with an empty net goal by Fix-Wolansky, from Atkinson and Fyten, at 19:05. 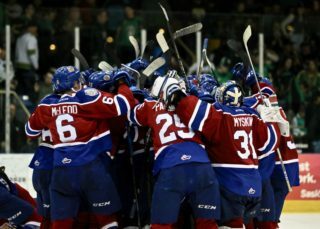 Final shots on foal were 45-36 Edmonton, including 16-9 Oil Kings in the third period. Regina was 1-for-5 on the power play, while Edmonton finished the game going 0-for-3 with the man advantage. David Kope (EDM) (3), Dylan Myskiw (EDM) (2), and Andrew Fyten (EDM) (1) were selected as the Three Stars of the Game. 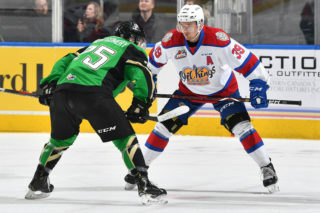 The Oil Kings take to the road next week for three games in three days, beginning Wednesday, February 13 when they take on the Brandon Wheat Kings for a 6:00 PM MT (7:00 PM CT) start. They return home to Rogers Place to host the Medicine Hat Tigers for Star Wars Night on Family Day, Monday, February 18 at 2:00 PM MT.